We had some very basic ground rules for our competition. 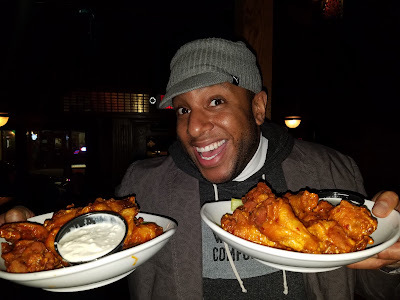 A standard hot wing needed to be ordered from each restaurant we visited. This was our attempt at standardizing our approach. 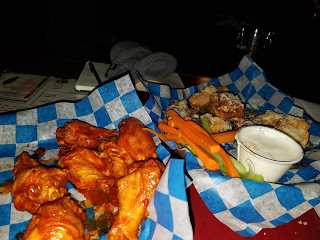 (We also asked for house specialty wings in addition to most of the hot wings we tried.) We narrowed our selections down to ten restaurants in the Southside**. It would easily be possible to do a wing crawl with closer to twenty stops, but ten was aggressive for one night. Here are the final rankings. A description of each location is listed below. BBT serves some of the best wings in the entire city. They are without a doubt some of the best in the Southside. 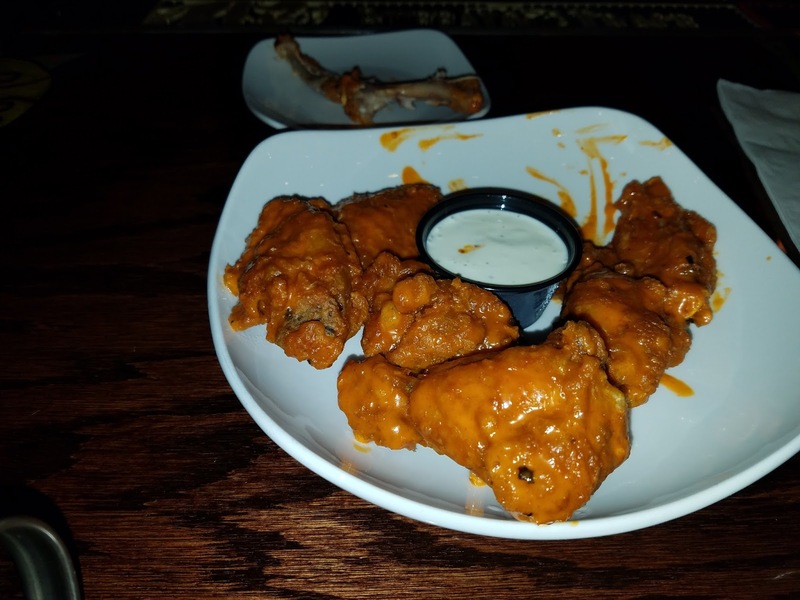 The number one factor is their nearly flawless consistency in their wing preparation. The wings are perfectly crispy every time without having to request extra crispy wings. The sauce selections are fantastic - for my money you cannot beat the golden boy sauce which has a little heat and some honey mustard. 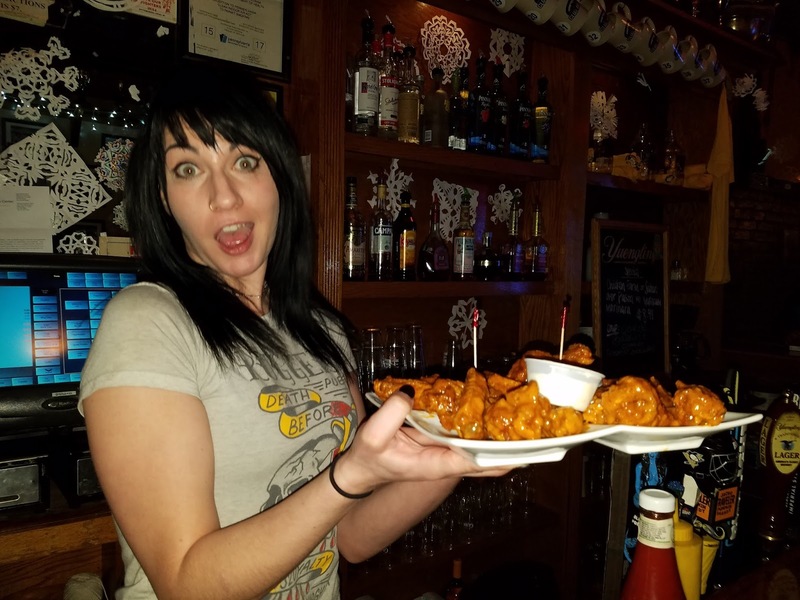 Their wing night is every Wednesday when they feature 50 cent wings. Normally an order of 10 will cost you $10. Also, keep in mind that they will charge you 50 cents to use a credit card! I've been eating wings at Rugger's for at least 10 years. Their melting pot sauce is a little different every time you visit, but it is one of my absolute favorites in the Southside. I'd describe it as a garlic, buffalo, black pepper, mustard combination - but I'm probably missing a few ingredients. We also had the opportunity to try their signature habanero wings which were just fantastic. The intense heat built slowly and had a great flavor. What makes Rugger's stand out is that their sauces are unique and the texture is usually spot on. 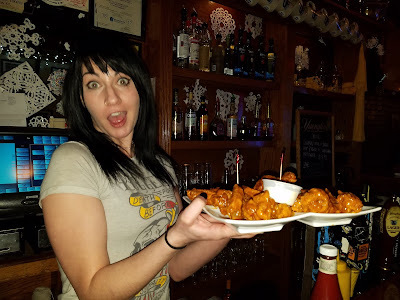 Also, they offer 1/2 price wings every night of the week during their happy hour which starts at 6pm. Archie's has absolutely been killing it with their wing game in recent years. While I feel that some Southside restaurants have declined, Archie's has just gotten better. It was really difficult to place them behind Rugger's and BBT. 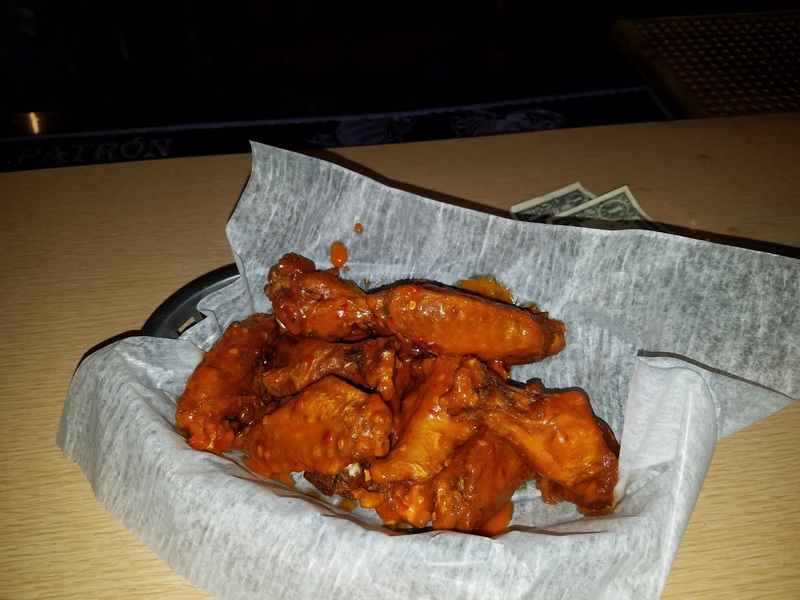 Their wings are 40 cents every Monday through Thursday. I think their best sauce is the hot ranch which has a delightful flavor. Personally I felt that they could have been a little crispier. 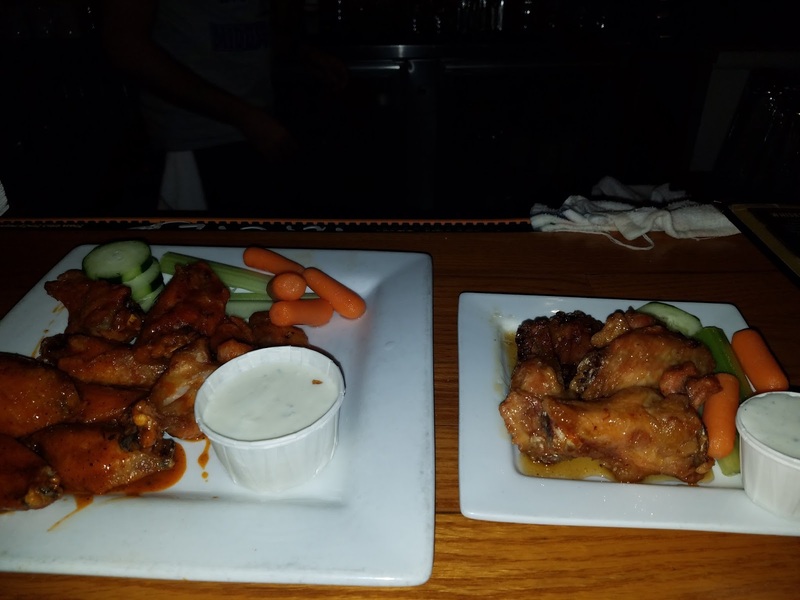 However, it is worth noting that their wings are larger than Rugger's and BBT. Mario's never ceases to amaze me. Although I've been drinking there since my early 20's, I've overlooked the food until recently. Their wings are very good. They offer some interesting flavors such as General Tso's and honey garlic habanero. I have to say though, the honey garlic habanero did not have much heat and the wings were a bit dry. 12 wings will cost you $10. By the time we got to Winghart's I had the wingfarts. Additionally, Winghart's was so late in the night that it became difficult to accurately compare the various wings. However, Winghart's really stood out. They had a great texture and a very nice size, comparable to Archie's. The texture was extremely unique compared to our other stops - almost as though the wings were coated and fried at a higher temperature. They were remarkably juicy. Winghart's would have ranked higher except I had to dock them for the price. 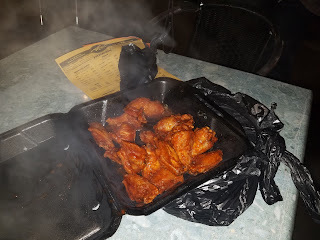 8 wings at Winghart's will run you $14.95. I recently wrote a review of The Library. We managed to hit them up during their fantastic happy hour. 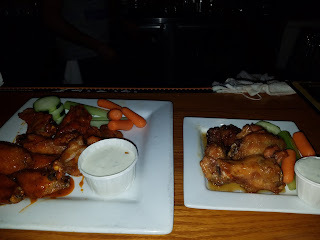 Although their wings are normally 12 for $12 - they were $6 for happy hour. Other than Archie's giving us free wings, this was the best special of the evening. The wings were underwhelming. They were lacking in sauce coverage and overcooked. Also, the buffalo sauce was fairly mild. My favorite treat at the Library was an order of the fried ice cream. It really served as wonderful intermezzo for our group. For $12 you can get all you can eat wings on Sundays. Hot garlic parm is the go-to wing at Smoking Joe's. Unfortunately I believe the quality of the wings has gone down significantly over the last few years. Also, I've always found their consistency to be lacking. The wings had a great heat level, but the oil seemed dirty and the texture was rubbery. 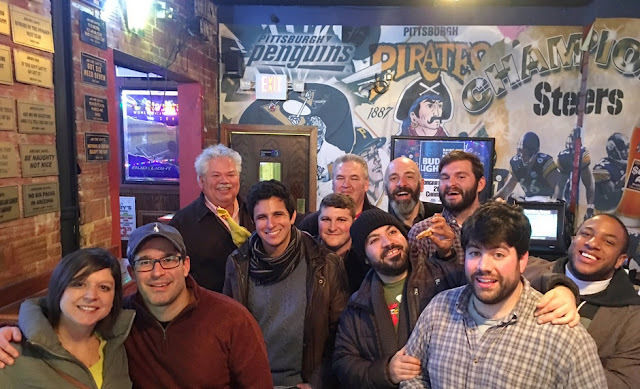 We all agreed that Smoking Joe's had the best blue cheese of all the restaurants we visited. 12 wings will run you $11.95. On Wednesday you can get 40 cent wings. The Doublewide used to be one of my absolute favorite restaurants in the Southside. When I moved here I would regularly take out of town guests to their lovely patio. The food has gone downhill immensely over the last several years. 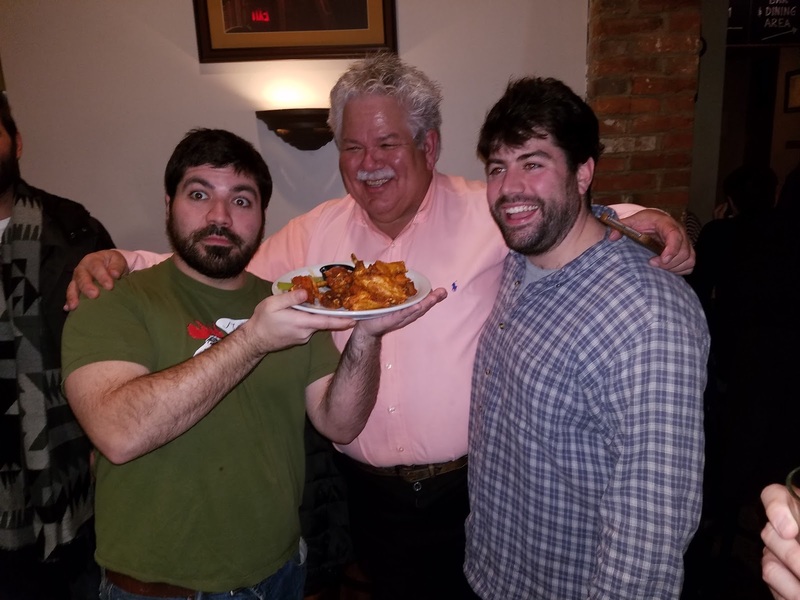 My expectations were so low that I was actually surprised by how good the wings were. They had a pretty good texture but were lacking in flavor. 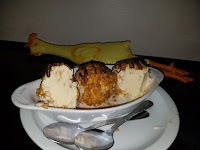 The honey garlic had almost no flavor at all. 10 wings will cost you $10.99. The high point of Doublewide was the wet naps. By the time we got there we really needed them. I've always said that Fathead's is one of the most overrated restaurants in the city. I believe that Pittsburghers love the place because of the large menu and the large portions. I've simply never understood the appeal. 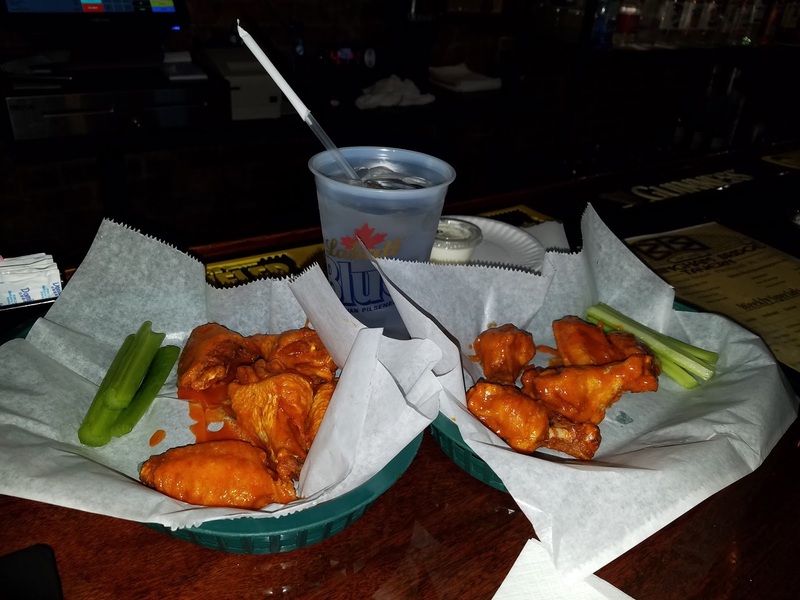 We ordered our Fathead's wings for takeout so as to keep to our outrageous wing schedule. The wings had a gummy texture and tasted of dirty oil. The flavor was acceptable but overall the wings were extremely lackluster. The top selling point was that these takeout wings were served with a very healthy portion of celery and carrots. 10 wings will run you $11.79. Worst wing award goes to Wings Over Pittsburgh! Boy were these bad. They were under cooked and had a rubber-like texture. The sauce was vinegary and generally lacking in flavor. If they had been ordered extra crispy, perhaps they would have been edible. 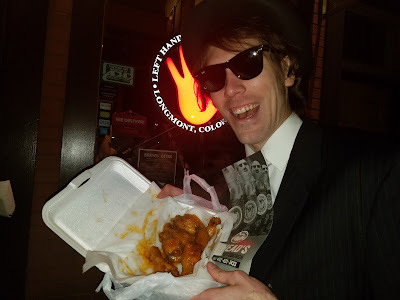 On the plus side, they were some of the largest wings we were served. 15 of these BAD boys will run you $13.99. I've included a list of restaurants in the Southside that we did not visit below. I really regret missing Carson City. Please be sure to leave a comment if you know of any others that we missed and what you thought of our rankings. **Known exclusions include: Wing Stop, Excuses, South Paw, Local, Carson City Saloon, 12, streets on carson, cupkas, Walker's.